A Banbury man accused of stabbing two people to death in the town last year pleaded not guilty to two counts of murder at court today (Friday, January 26). Raymond Morgan is charged with murdering Adrian Fannon and Mark Pawley in a flat on Newland Road on October 4, 2017. 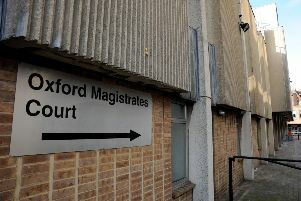 The 52-year-old, of Newland Road, appeared at Oxford Crown Court via video link from prison and pleaded not guilty to the charges. He was remanded in custody and is next due to appear for trial at the same court on March 5.